This tutorial will serve as a guide to help you reset Android on a Pantech Vega No 6 device. If you have reached this post, you’ll probably need to apply a hard reset on your Pantech device to return it to it’s out of the box state and settings. The reason for doing this can be that you have forgot the lock pattern on your Pantech Vega No 6 or maybe you are handing over the mobile phone to another person and don’t want them to have access to your personal data. Whatever the reason to reset Android, we will explain both methods available. You will choose the method to use depending on if you have access to the applications menu of your device or not. Before you start, make sure that the battery of your Pantech Vega No 6 is at least 80% charged, to avoid any unexpected and unwanted powering off during the process. To use this method to reset Android you need to be able to use your Pantech Vega No 6 device. That is, you need to have access to the operative system, and therefore the applications menu and settings of your phone. You would use this method if, for instance, you want to sell or give away your phone to someone else, and need it to be in the same state it was out of the box. Go to the Pantech Vega No 6’s Applications menu. Choose Settings and then click on Privacy. Click on the option Factory Data Reset and then Reset Phone. Confirm you decision by selecting Erase everything. Your Pantech Vega No 6 will restart, and when it returns it will be back to its factory settings. 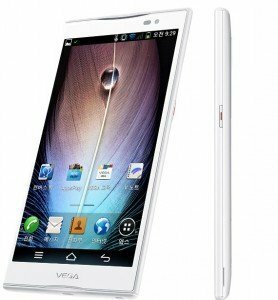 Reset Android on Pantech Vega No 6 using hardware buttons. You will use this method if you have lost access to your Pantech Vega No 6, for whatever reason, and need to reset Android to be able to use it again. The reasons can be that you forgot your lock pattern, or there have been some issues with the OS that will not let you access the applications menu. Press the Volume Down button and the Power button at the same time and keep them pressed until the Android logo shows up on the screen. Press the button on the bottom left of the screen for the recovery menu to show. Move to the Wipe data / Factory reset option and select it. Press the Home key to confirm the selected option. Using the same set of keystrokes select the option “Yes – Delete all user data”, and return to the main menu.